With our recent trip to the Dry Tortugas, we knew we had to get a cooler of some sort. We didn’t want anything too big because we wouldn't be needing it often and we didn't have anywhere to store it. Soft sided cooler it is! 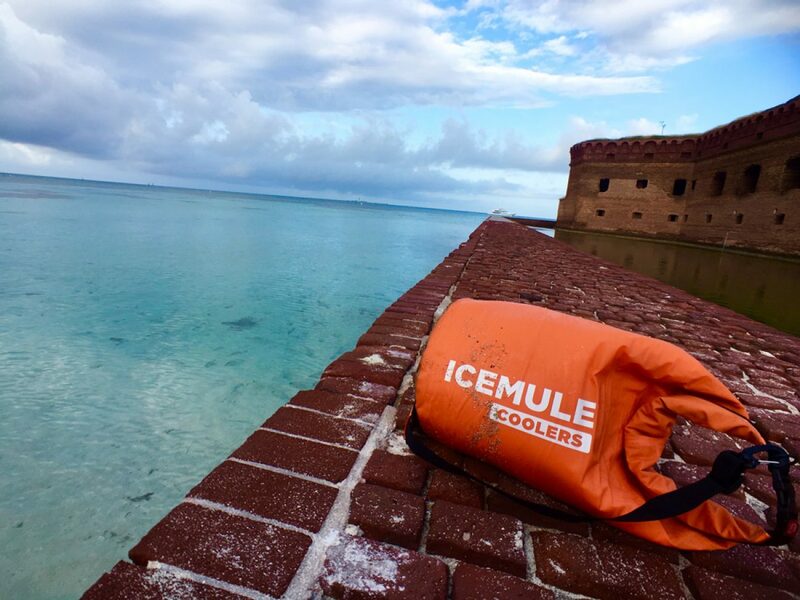 Thankfully we found one of the best on the market from IceMule Coolers. With a bit of research we purchased the 20 liter cooler in orange! We decided to try it out in the Keys before our trip to the Tortugas. We filled it with a bag of ice to see how long it would keep it cold. We checked it 24 hours later and found that while most of the ice had melted, it was still freezing cold in the cooler. Since we knew we could buy more ice on the boat each day, the IceMule wouldn't have any trouble keeping our food cold. Good News! None of our food went bad in the 2.5 days on the island. We did end up purchasing ice within 24 hours, but everything was still cold despite the 85-90 degree weather on the island. All-in-all we were really happy with the performance of this cooler. We love that it’s easy to transport, too. It has a really comfortable strap and isn’t too heavy when filled. Also, it doesn't cost an arm and a leg (I'm looking at you, Yeti). While it’s not a hard-sided cooler, it works well for us because we can easily roll it up and store it in our outdoor kitchen. We look forward to taking it on our adventures and maybe at some point get a smaller one to take on bike rides. Thank you IceMule Coolers for making a great product. We love it!